Part of the opening of the International Financial Reporting Standard (IFRS). 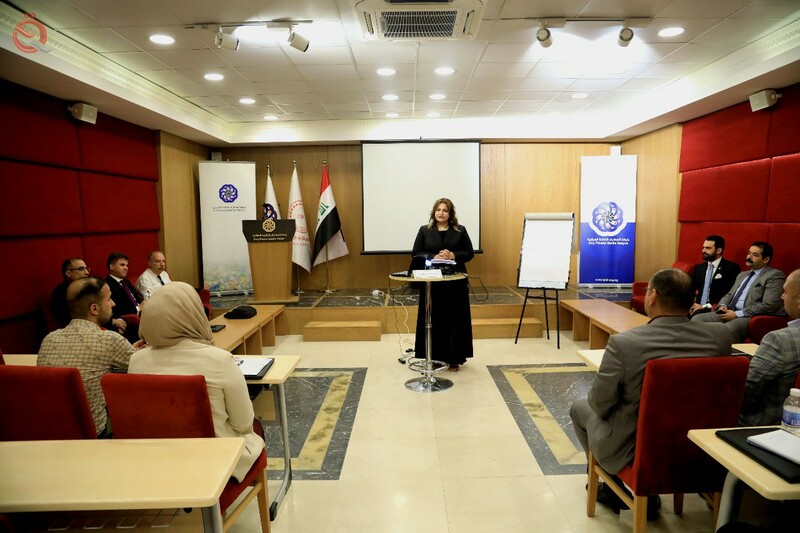 "Economy News"
The Union of Arab Banks, in cooperation with the Central Bank of Iraq and the Association of Iraqi Private Banks, held a training course on the application of the International Financial Reporting Standard (IFRS) on Sunday. The course aims to provide participants with skills related to accounting requirements for financial instruments, as well as measuring impairment losses or impairment of assets and financial instruments. The director of administration and training in the Association of Iraqi Private Banks, Ahmad al-Hashemi, during the session, which was attended by "Economy News", the Central Bank of Iraq and private banks participating in the session, noting that the Association of banks always seeks through courses organized, in cooperation with its strategic partners, By the banking sector in Iraq. "This session comes at an opportune time, especially as the International Financial Reporting Standard has become applicable this year," he added. "The aim of the courses organized by the Union is to develop banking sectors in the Arab world and aspire to reach the best international standards," said Raja Kamouni, the Secretary General of the Union of Arab Banks. "We, as the Union of Arab banks, thank the Governor of the Central Bank of Iraq, Ali Alaak, because he wants to cooperate with the Association of Iraqi private banks, to make the banking sector as it was before, strong and able to face all the challenges. "We trust the banking sector in Iraq, and we trust those who work in it." International Financial Reporting Standards (IFRS 9 ) are effective from financial periods beginning on or after 2018.